Globalisation has enabled the UK to import a wide range of goods from China. 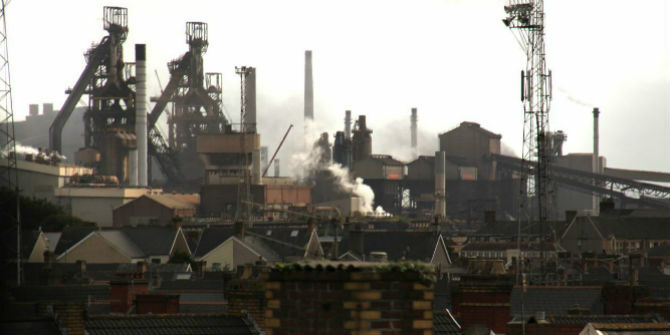 This has led to the loss of jobs in some manufacturing industries in Britain – the ‘Chinese import shock’. Italo Colantone (left) and Piero Stanig compare areas that voted Leave with those most exposed to the import shock and find a strong correlation between the two – regardless of voters were personally affected by job losses. The success of the ‘Leave’ campaign in the Brexit referendum was probably the single most important event in European politics in the past two decades. A good deal of debate and analysis has followed the referendum, mostly in the form of blogposts and articles in the press. 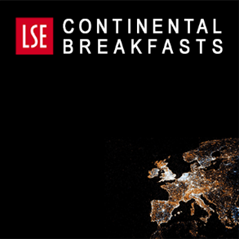 A number of empirical regularities have been established, both with respect to individual-level determinants of Leave votes, and in terms of social and economic conditions that correlate with support for Brexit across geographic areas. In particular, there is evidence that UK regions characterised by declining shares of manufacturing employment, lower real wage growth, and increasing income inequality voted systematically more to leave the EU (e.g. Becker et al. 2016, Bell and Machin 2016, Colantone and Stanig 2016a, Clarke and Whittaker 2016, Darvas 2016, Langella and Manning 2016, Menon and Salter 2016). In a recent paper, we show that the Chinese import shock is a key causal driver of differences in support for Leave across regions (Colantone and Stanig 2016b). In particular, regions that have been more exposed to the recent surge of manufacturing imports from China, due to their historical industry specialisation, show systematically higher Leave vote shares. We claim that this causal effect is driven by the displacement determined by globalisation in the absence of effective compensation of its losers. In that respect, our analysis addresses the fundamental determinants of divergence in regional performance emphasised by previous contributions. We compute a region-specific measure for the exposure to Chinese imports following the methodology developed by Autor et al. (2013). This measure combines national-level import data at the industry level with regional data on the pre-sample composition of employment by industries. The intuition is straightforward: different regions have been more or less exposed to the Chinese shock depending on their ex ante industry specialisation. In particular, larger shocks are attributed to regions in which more workers were initially employed in the manufacturing sector. However, for a given overall share of manufacturing workers, the shock is stronger for regions in which more workers were originally employed in industries for which Chinese imports have increased the most over time, for example textiles or electronic goods. We compute the import shock for a total of 167 NUTS-3 (Nomenclature of Territorial Units for Statistics) British regions and consider the growth in Chinese imports between 1990 and 2007, and measure regional industry specialisation in 1989.1 Trade data are from Eurostat (Comext), while employment data are from the UK Office for National Statistics. Figure 1 shows the variation in the strength of the import shock across more aggregated NUTS-2 regions, for convenience of exposition. At the NUTS-3 level, the variable we employ has an average value of 0.32. This corresponds to a growth in imports from China by 320 real euros per worker, computed as the five-year moving average over the sample. The region with the lowest shock is Camden and City of London (0.06), while the region with the largest shock is Leicester (0.75). 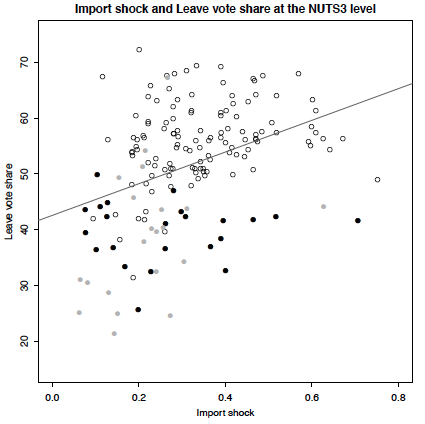 Figure 2 displays the positive correlation between the Chinese import shock and Leave vote shares at the NUTS-3 regional level. Figure 2: Leave vote shares (in percent) across NUTS-3 regions plotted against the import competition shock. Note: Black dots are NUTS-3 regions of Scotland; grey dots are NUTS-3 of London; and hollow dots are the remaining NUTS-3 of England and Wales. The grey solid line is the least-square fit. To investigate the impact of import competition on support for Brexit, we regress Leave vote shares at the NUTS-3 regional level on the Chinese import shock of the region. We include in the specification fixed effects for the corresponding NUTS-1 macro regions. This allows us to account for any confounder that affects similarly all the NUTS-3 areas in a macro region – for example, a different political culture in Scotland, which is one of the 12 NUTS-1 British regions we consider. Importantly, to account for the role of immigration, we include in our regressions both the stock of foreign born residents in the population, and the recent arrival rate of immigrants, both measured at the NUTS-3 level in 2015. To account for the possible endogeneity of the import shock, in line with several earlier studies we instrument Chinese imports to the UK by using Chinese imports to the US (e.g. Autor et al. 2013, Colantone et al. 2015, Bloom et al. 2016). This instrumentation strategy aims to capture the variation in Chinese imports to the UK that is driven by changes in supply conditions in China, rather than by potentially endogenous domestic factors in Britain. We find that Leave vote shares are systematically higher in regions that have witnessed larger import shocks. Specifically, a one standard deviation increase in the strength of the import shock at the regional level leads to an increase by two percentage points in support for the Leave option. Moreover, if we compare a NUTS-3 region at the 10th percentile of the distribution of the import shock (Cardiff and Vale of Glamorgan) with a region at the 90th percentile (Gwent Valleys) within the same NUTS-1 macro region (Wales), these are expected to differ by four and a half percentage points in their support for Leave. In fact, the actual difference was 16 percentage points. We do not find any evidence that immigration is related to more support for Leave. If anything, we detect a negative correlation between the share of foreign-born residents in the population and Leave shares. All our findings are robust to controlling for the unemployment rate in the region, for the share of high-skill workers, and for the share of agriculture in regional GDP. We complement the regional-level analysis with regressions exploiting individual-level data on vote intentions, sourced from the British Election Study (Wave 8). We have data on a total of 31,409 respondents, surveyed in May-June 2016 (just before the referendum). For each individual we have information on vote intentions, as well as on demographic characteristics, education, labour market status, type of occupation, and attitudes towards immigration. We regress a dummy for voting Leave against the import competition shock in the region of residence, controlling both for the immigration variables and for NUTS-1 fixed effects. In addition, we control for age, gender, and education of the respondent. Consistently with the regional-level evidence, we find that the Chinese import shock has a positive effect on the propensity to vote for Leave. Moreover, in line with existing evidence, older and male respondents are more likely to support Leave, while higher educational attainment reduces the probability of voting for Brexit. On the other hand, we do not detect any significant association between immigration and support for the Leave option. Working with individual-level data allows us to investigate how the effect of import competition varies across voters depending on their labour market status and occupation. We do so by interacting the import shock with dummies for specific categories of voters. Our results suggest that the effect of import competition is not confined to a specific group of individuals who might be more directly affected by the shock – for example, the unemployed. Rather, the import shock seems to have a very similar impact across the whole population, and even for service workers, whose jobs are not directly affected by manufacturing imports from China. By and large, our evidence suggests that voters are reacting to the import shock in a sociotropic way, responding to the general economic situation of their region, regardless of their specific condition. We have not found evidence that higher levels of immigration are significantly related to higher support for Leave. And yet, dissatisfaction with immigration has been identified as one of the most important self-reported reasons for voters supporting the Leave option (Ipsos MORI 2016, Lord Ashcroft 2016). How can we reconcile these pieces of evidence? In our individual-level data, we find evidence that negative attitudes towards immigration are themselves determined by stronger exposure to Chinese imports, more than by the extent of immigration in the region of residence. Overall, regardless of the self-reported reasons for voting Leave, concerns with immigration might be better understood as a scapegoat for a malaise that has more structural economic origins. These are related to large scale economic transformations that inflict disproportionate losses on some sectors of society. Globalisation, and in particular the Chinese import shock, was a key driver of the vote for Brexit. While free trade has generated significant welfare gains for advanced economies such as the UK, the distribution of these gains has been highly unequal. This has left some social groups and, importantly, some geographic areas, much worse off. Our results suggest that redistribution policies that spread the benefits of globalisation across society are crucial to ensure that globalisation itself is sustainable in the long run. Autor, D, D Dorn and G Hanson (2013) “The China syndrome: Local labor market effects of import competition in the United States”, American Economic Review, 103: 2121-2168. Becker, S O, F Fetzer and D Novy (2016) “Who voted for Brexit? A comprehensive district-level analysis”, CAGE Working Paper 305, October. Bell, B and S Machin (2016) “Brexit and wage inequality”, Mimeo, London School of Economics and Political Science. 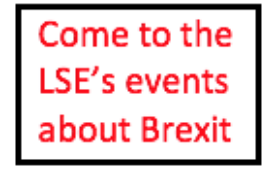 This post represents the views of the authors and not those of the Brexit blog, nor the LSE. It was first published at Vox, CEPR’s policy portal. Italo Colantone is Assistant Professor of Economics, Bocconi University. Piero Stanig is Assistant Professor of Political Science, Bocconi University. The relationship between job loss/wealth and political unrest is definitely strong. To say that ‘ “Chinese import shock” had nothing to do with Brexit’, is missing what they’re trying to say. People know when their bank balance is lower than it used to be, so who/where do they blame? Certain media will tell you it’s europeans and foreigners taking jobs. Why do they tell you that? Because certain journalists know that the average person reading that newspaper has noticed a lot more foreigners around, or heard of a friend or family member who’d lost a job to one. The temptation then is to read that, and blame that. What we can’t see is the jobs being created in China, the factories going up weekly, and how many people are purchasing goods from China, you don’t see the increase in thousands and thousands of freight craters arriving into the UK every day. If economics teaches you anything, it’s that the answer is never as simple as it seems on the surface, and that often the thing you cannot imagine would impact something greatly, does. Such as this..
It’s distinguishing between what people self reported & the real underlying reason for their disaffection. You appear to have missed the whole point of the article. I think the Chinese import shock existed a long time ago. Yet, Chinese import could not be seen as the causes for “Black Swan” types of of event, like Brexit. China is merely a participant of globalisation, part of the value chain. This article is very interesting in relation to the constantly repeated claims of leading Brexiteers that post-Brexit Britain is going to flourish on the basis of free trade with the whole world.